From emergency notification to pet bowls to folding crates, you'll want to ensure your pets are covered! Our pets are members of our family. There's no way we want to leave them unprotected. Our intention is to give you the things you need to take them with you, and things to leave at home if you have to. 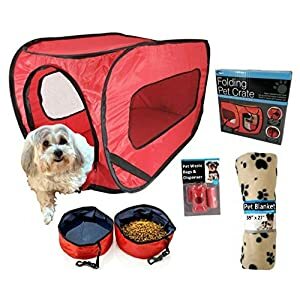 Why don't we recommend pre-made kits for pets? We haven't found any we can recommend. This is an item you can't really standardize, it needs to be customized for your situation. Plus, most of these kits include things like a toy and food, and some have emergency water. What about food and water? We assume you have your water covered with your basic GoBag, and "emergency" food for pets is really expensive. Just buy some regular food and change it out every so often. I'd hate to try and introduce new food to my pets in an emergency. 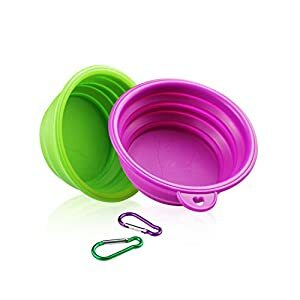 Easier to just have a couple cans and a baggy of dry food in their GoBag. So if you want to move quickly, the best thing is a carrier. 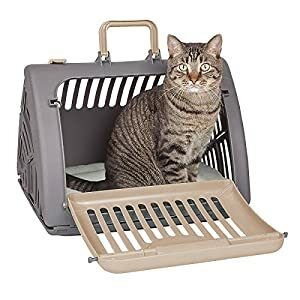 There are some great foldable carriers available. 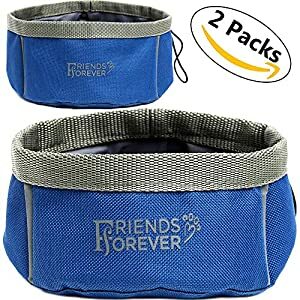 In addition, you need a leash, a portable dish for water and food, a blanket and some toys. 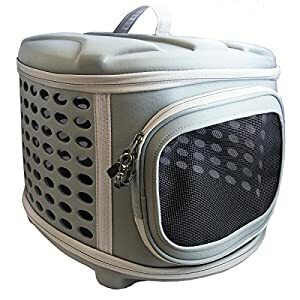 You want to keep your pet calm and secure. 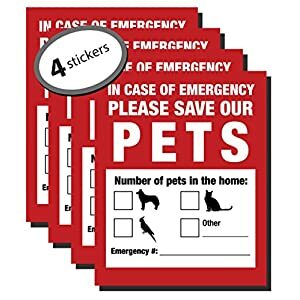 And in the worse case scenario and you have to leave them or you are not at home when in an emergency, you want some notification stickers. Please review the following items carefully and choose the items that are right for your pets. You may not be home when first responders come, and you want to immediately alert them to the presence of your pets. 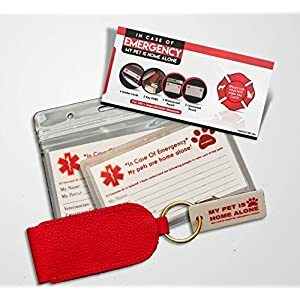 It's also a great idea to have these wallet cards with you to alert folks you have pets at home. 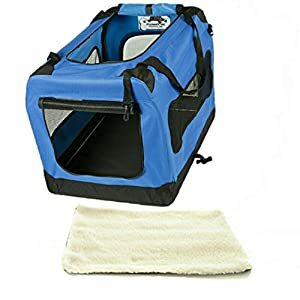 There are a wide variety of folding crates for pets ranging from small to large. 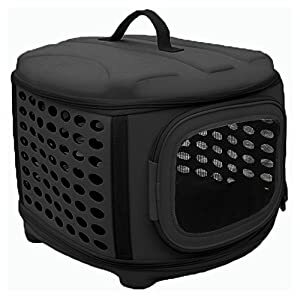 Please review all of these highly rated carriers and choose the one that's right for your pets. 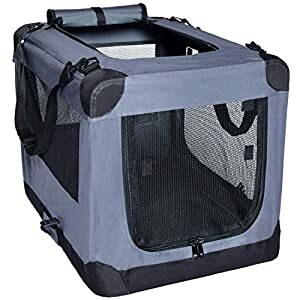 Soft-sided folding crate; 25lb cap. 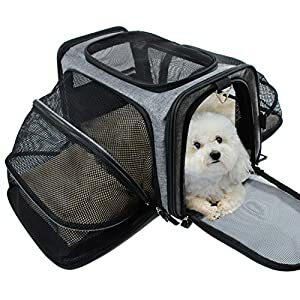 Folding Crate / Dogs Up To 40lb.